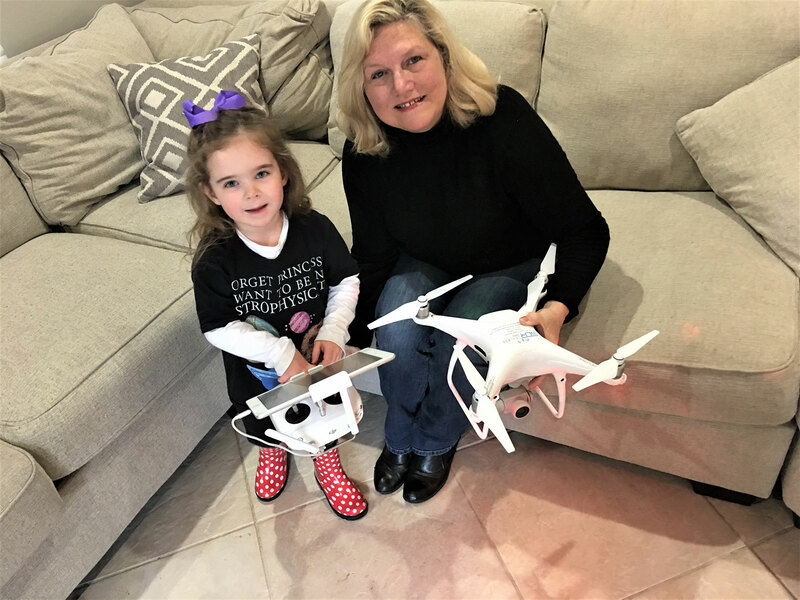 It is such an honor to be recognized by Women and Drones and interviewed as part of the Awesome project. At 63 years old, a woman and a Part 107 Remote Pilot In Command (RPIC), I represent 0.4% of the RPIC population. 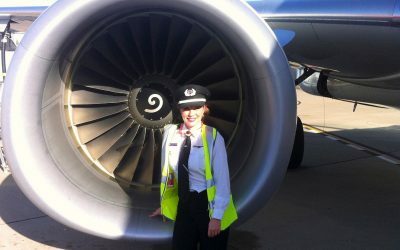 Amazingly, according to FAA data, there are 220 of women over 60 who have earned their RPIC. I have been an aviation economist for more than 40 years and I am an Adjunct Professor in the School of Business, Embry Riddle Aeronautical University (ERAU) teaching economics. Last year, ERAU released my forecast of the UAV commercial package delivery market. In 2016, I turned my research from the commercial aviation industry to the developing drone industry. 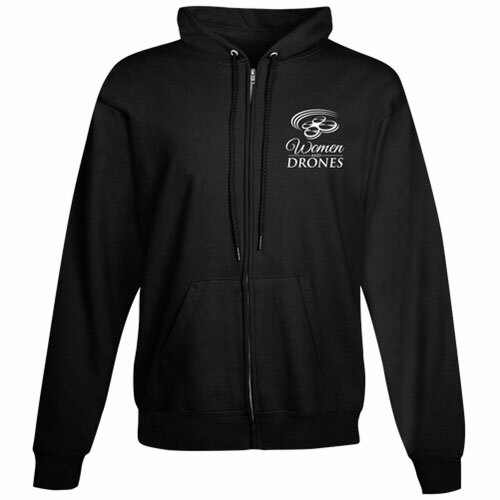 My current projects are focused on commercial applications for drones including sports management and agriculture. My drones for sports management projects include working with sailing organizations to develop policies and procedures for the use of drones for junior sailing programs, race committee, to promote the club to attract new members, filming of club races to share with members and promote the fleet, and filming of development projects to share status updates with members, just to name a few. 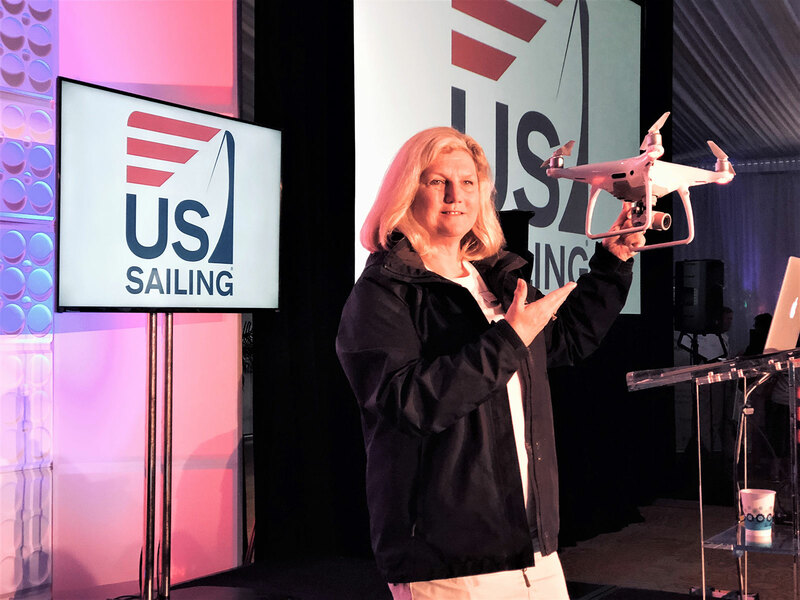 I recently spoke at US Sailing Leadership Forum and introduced drones to the boating community. I just launched my new website, www.drones4sailboatracing.com to help sailing organizations chose the right drone, get properly credentialed, and I am working with a major drone training company to offer a customized training package for sailing organizations. Additionally, I am working with the snow-sport industry to develop policies and procedures for the use of drones for chair-lift inspections. 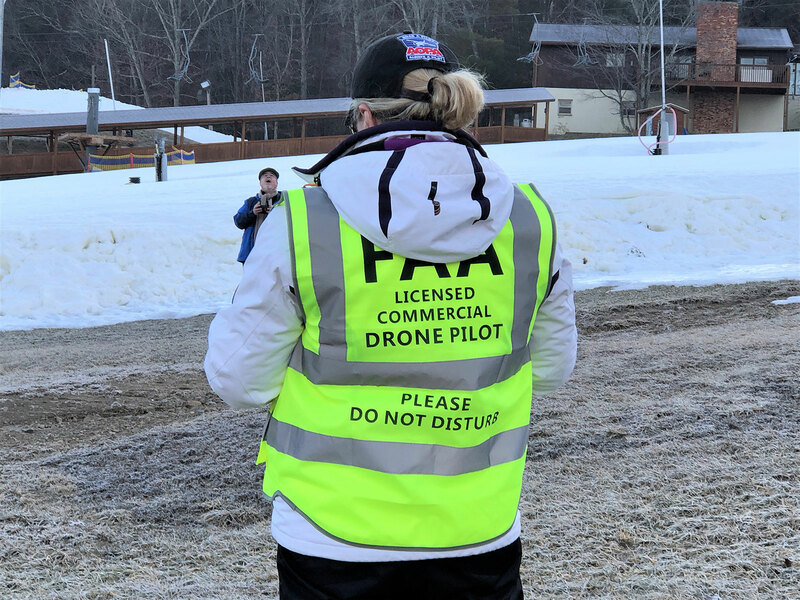 I am sponsoring a study by George Mason University to provide the fundamental research to create a program for the use of drones by snow-sport areas. Since the number of snow sport days has been declining, many areas are adding summer activities, such as zip lining and mountain biking. Chairlifts, which were designed for six month operations, are now being operated nine to 12 months of the year, increasing the need for more inspections of the towers. Drones are an effective alternative to sending a person up the tower to inspect the operations. 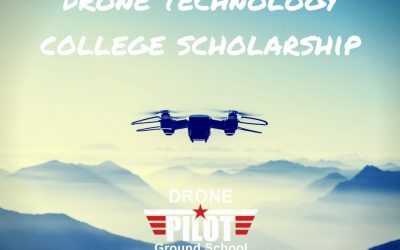 I launched the webside www.drones4resorts.com, to help snow-sport areas and suppliers decided which drone to purchase and with the same major drone training company to offer a customized training package for using drones for chairlift inspections. As far as my involvement with the use of drones in agriculture, I serve as the executive director of the Agricultural Aerial Remote Sensing Standards Council (www.AgRSCouncil.org ), which is developing standards for the imagery gathered by drones used in analysis in agriculture. In 2009, I founded Skylark Services, LLC a certified Woman Business Enterprise, to provide economic consulting, specializing in delivering economic analysis to support policy and implementation of data-driven programs. Skylark Services’ largest and most comprehensive project has been working with a start-up software company, masFlight, to bring the its cloud-based platform to market. masFlight’s cloud-based platform cut through data silos to enable analysis used by the US Department of Transportation for its Tarmac Delay Program. This tool became the basis of masFlight’s commercial platform supporting near-real-time analysis of 800 parameters for 100,000 flights daily. In 2015, masFlight was sold to Global Eagle. I began my career as a staff economist for the US Department of Transportation, Office of the Secretary. I served on the in-house task force on regulatory reform for both the trucking and aviation industries. I left US Department of Transportation in 1977 to serve as a transportation economist for the National Transportation Policy Study Commission. Following my work with the National Transportation Policy Study Commission, I was Vice President of the Regional Airline Association (RAA), representing U.S. regional airlines. 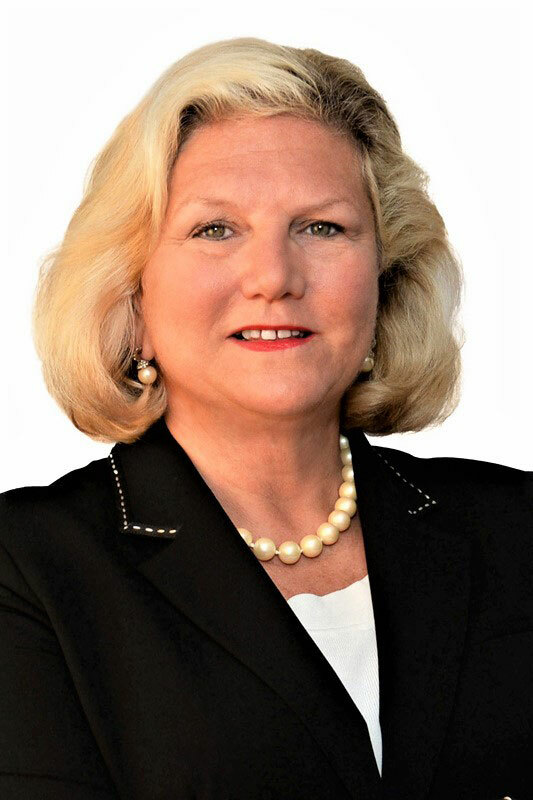 I was responsible for government relations and was a key industry spokesperson presenting and providing testimony to Congress, federal agencies and industry organizations. I was a delegate on the U.S. – Canadian Bi-lateral air rights negotiating committee for open skies and received recognition by Aviation Week and Space Technology for outstanding contributions in the field of aerospace in addressing the needs of disable passengers. I took a two-year leave of absence from RAA from 1980 to 1982, moved to Alaska, and served as the President of the Alaska Air Carriers Association and Executive Director of the Alaskan Aviation Safety Foundation. 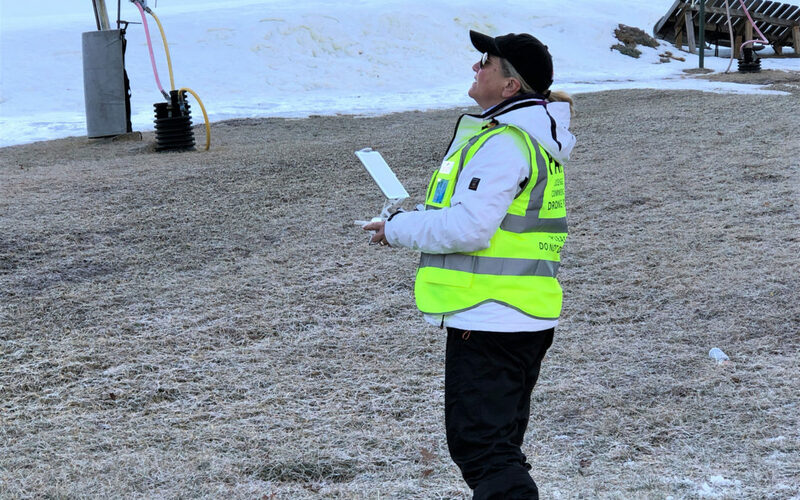 I was awarded the FAA Alaskan Region Special Commendation by the FAA Regional Director for outstanding contributions to Alaskan Aviation Safety and FAA certificate of appreciation for contributions to a better understanding of Hazardous Materials. I was featured in the 2007 Outstanding Transportation Professional Profile, Transportation Research Board, and March TR NEWS. In 2008, I was named to National Academies, Transportation Research Board, and Blue-Ribbon Panel on Essential Air Service program. I am a private pilot, Part 107 RPIC, past-president (2016) of the International Aviation Club, past-President (2001) of the Aero Club of Washington DC, member International Aviation Womens Association, and served as Chairman, Regional Aviation Subcommittee, Transportation Research Board, National Academies 1995-2007. 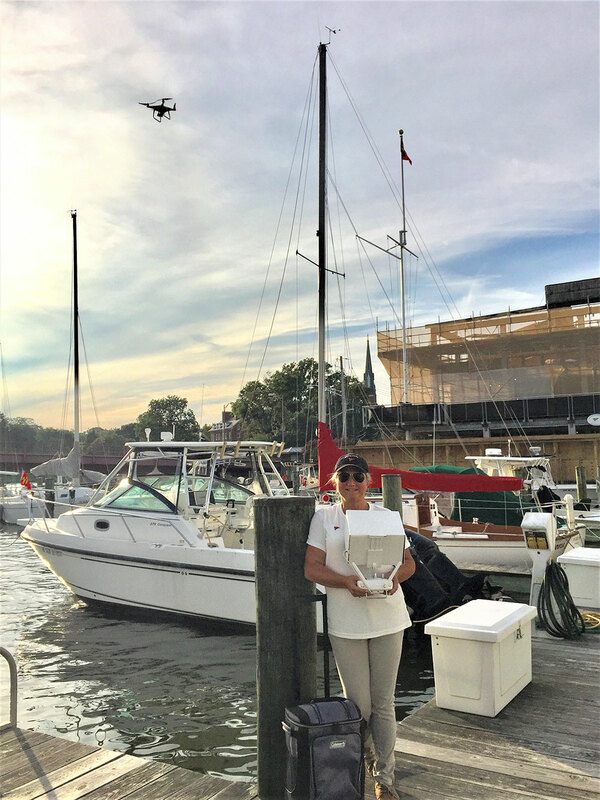 For the past decade, I have lived with my husband on a boat in Annapolis. After I sold the software company masFlight, I needed to find something in aviation that was not covered by my non-compete. Darryl Jenkins, the author of the first economic analysis of the drone industry for AUVSI, introduced me to the drone industry and in the fall of 2016 I attended six drone conferences to educate myself on the industry. I love that my three-year old granddaughter ran up to me and asked, “Mimi, did you bring your little airplane?”. 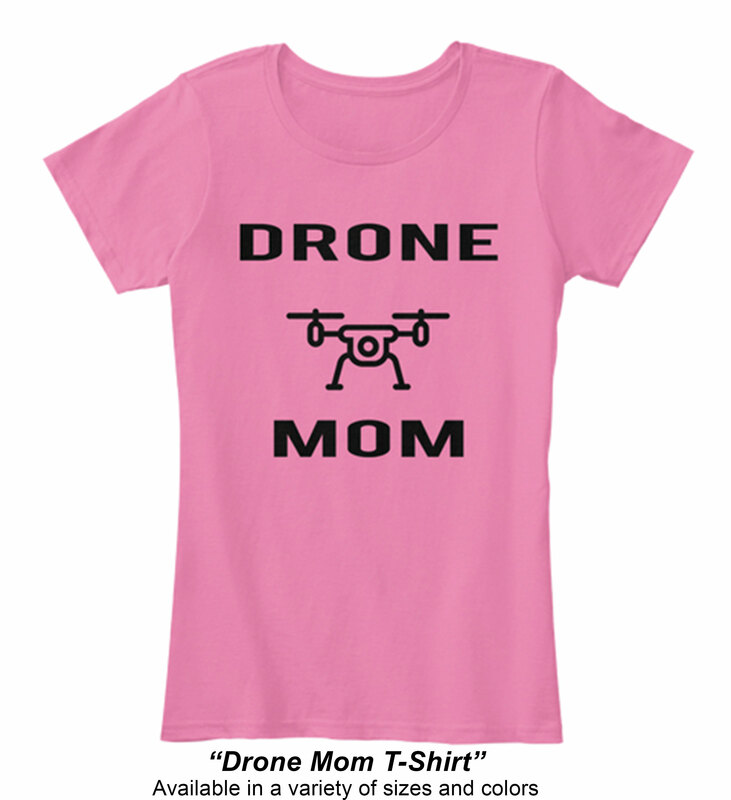 It is pretty cool that she considers it is normal for her grandmother to fly drones! Finding new commercial uses for drone. Once the new commercial use case is identified, I enjoy developing the business case and developing proof-of-concept to support the project. 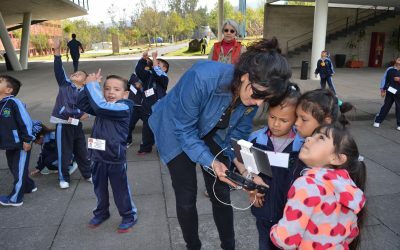 I also just love flying my drone for fun and as part of projects. My projects are still works in progress. Ask me next year!! The newness of the industry is opening opportunities for women, versus established industry where women need to “break in”. 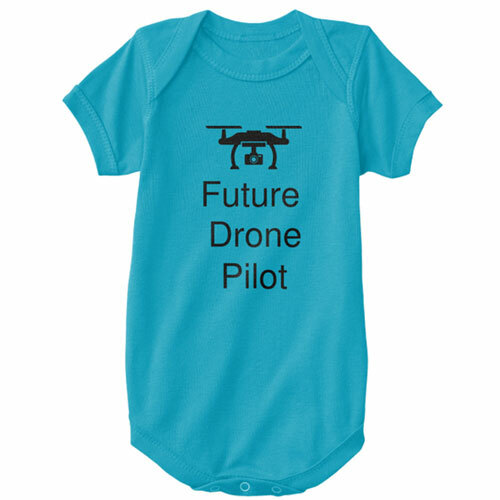 What’s your current favorite drone to fly? 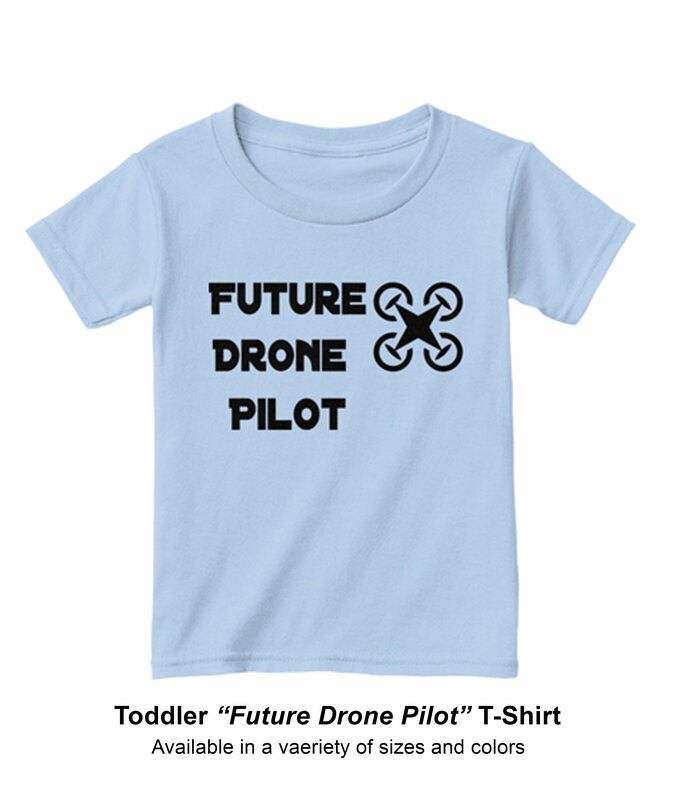 I love my DJI Phantom 4 Pro, but I have not flown many other drones. How far along the industry has progressed and how much more needs to be done. I pretty much knew what I was getting into. My experience with the regional airline industry when it was in its infancy is very similar to where the drone industry is today. The big difference is the sheer size of the drone market and the virtually unlimited opportunities. There are so many opportunities. 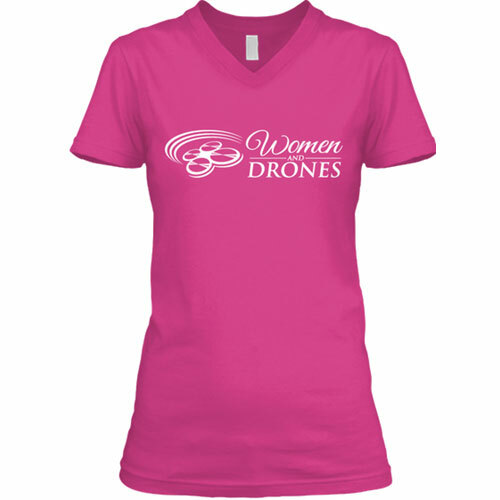 Read everything you can and reach out to other women in the unmanned industry. Step up and take a seat at the table now, the tables are just getting set. 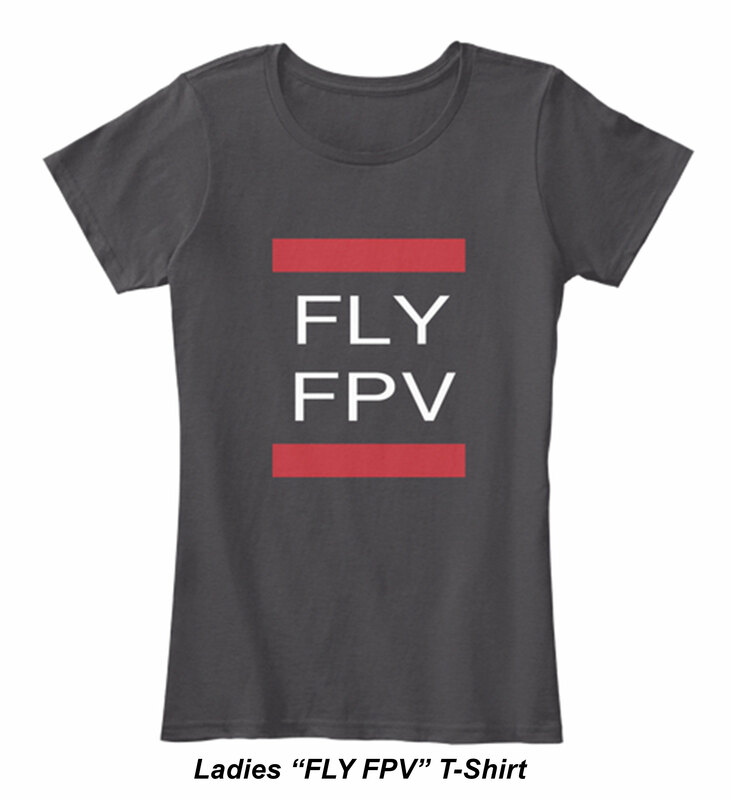 I would welcome being a mentor to younger women to foster their career in aviation, especially drones.